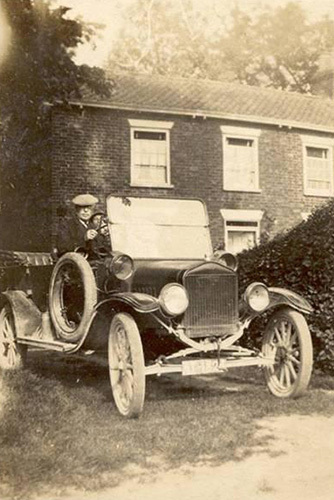 This page celebrates the rich history of our village, as contributed and remembered by our community both immediate and extended all around the world. It is a work in progress and very obviously in its early stages! 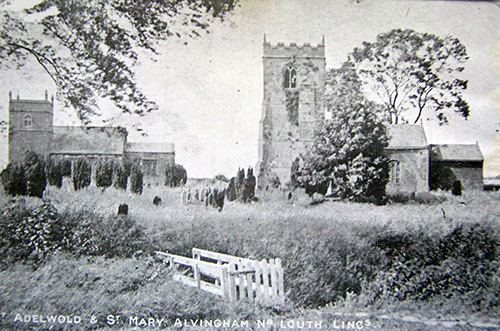 We would love you to share your images of our village throughout the years and ask you to send in your contributions to cat@alvinghamvillage.co.uk to help bring this page alive. Steve Mansfield recently received an email from a PhD student at Birmingham University about one Barnabe Gooche (he sometimes spelled it Goche) who died here in 1594. He was well known in his day as a poet, publishing quite a lot including translations of the classics. Steve has taken the time to write a short article about him which we hope you will enjoy. These images were sent from Mike Hand, (Jeff and Derek's brother) who has lived in Canada since 1953. The words associated with the pictures are extracted from the booklet that Mike sent to me in in February 2012. A full scanned version of the booklet can be downloaded here. 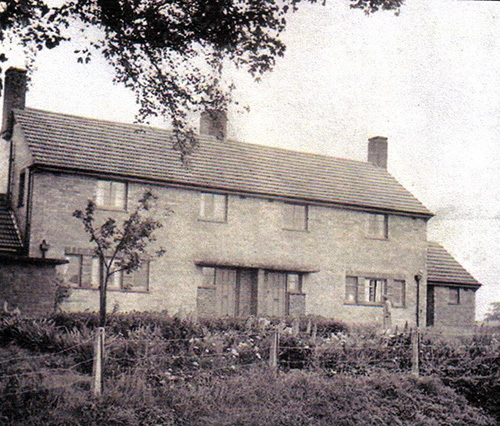 In the early 1900's the Washdyke cottages got their name from the use of the River Lud that ran by them for washing sheep before shearing the wool. Mike's Father grew up in the house as a boy. 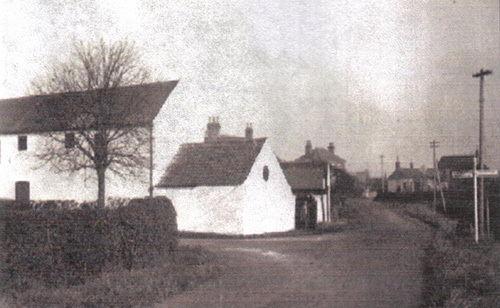 Alvingham Village Hall 1956. When the army base built on Tom Shucksmith's land during the war closed in 1945, most of the buildings were removed. 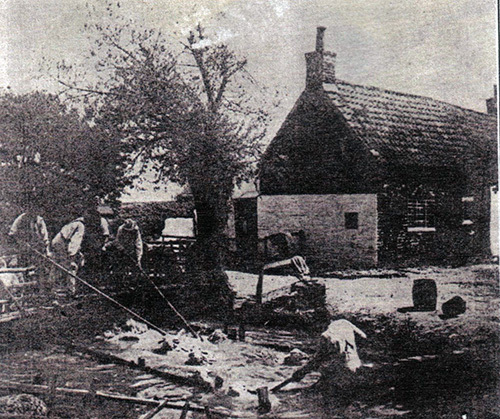 This one, however, was kept and the property donated by the family to the village. 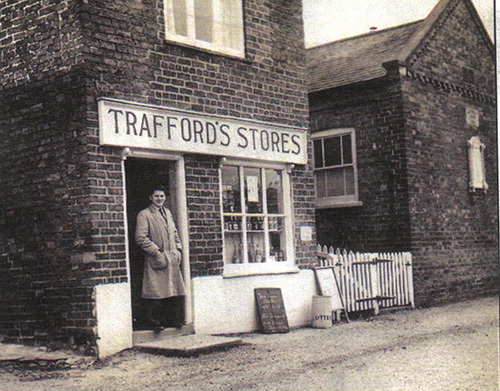 Trafford's Store 1956, a mainstay in the village since the 1860's until Bob's retirement in the 1990's. Bob Trafford is seen stood in the doorway. 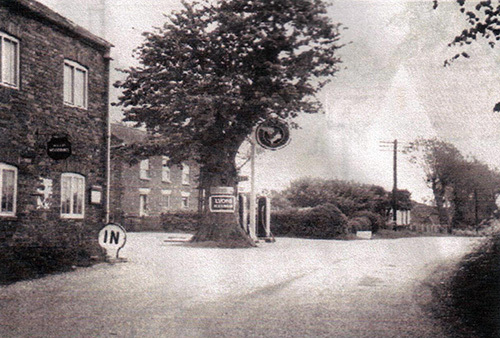 White Barn Corner 1938. White Barn is part of the Shucksmith Farm and for the 1937 Coronation of King George VI and the 1945 war ending celebrations, in the absence of any local hall, the barn was cleaned out inside and painted, and with long tables set up, hosted lunch for all the local citizanry after the festivities and sports held in the field opposite. 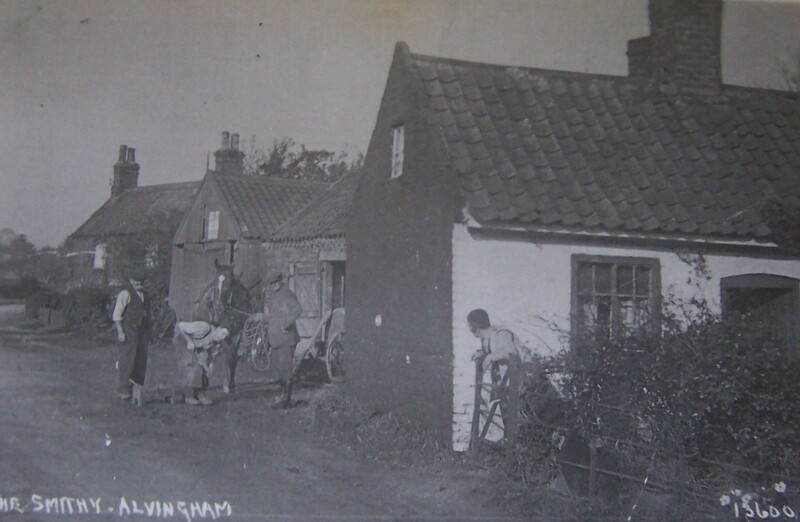 Wright's Corner 1953 - Housing the shop of the local carpenter and wheelwright, Len Wright. He also operated a bike repair shop, already removed in this photo, and the local petrol pump. 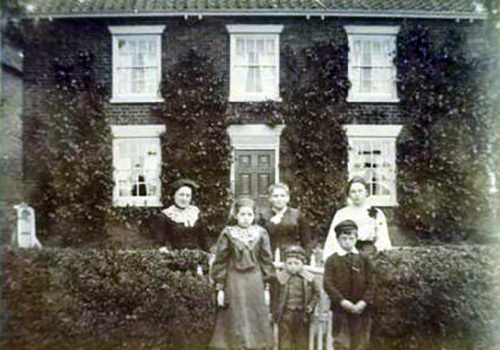 More information about the Wright family can be seen below from a second contribution. 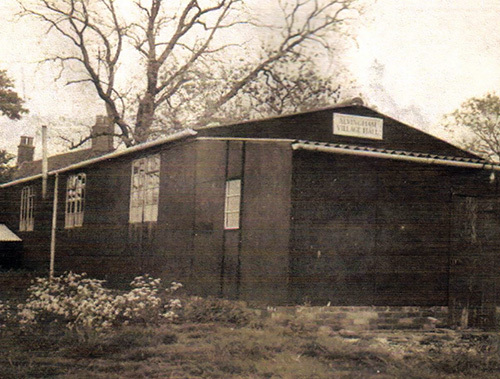 Methodist Chapel 1956, built in the 1840's and in continuous use since then. 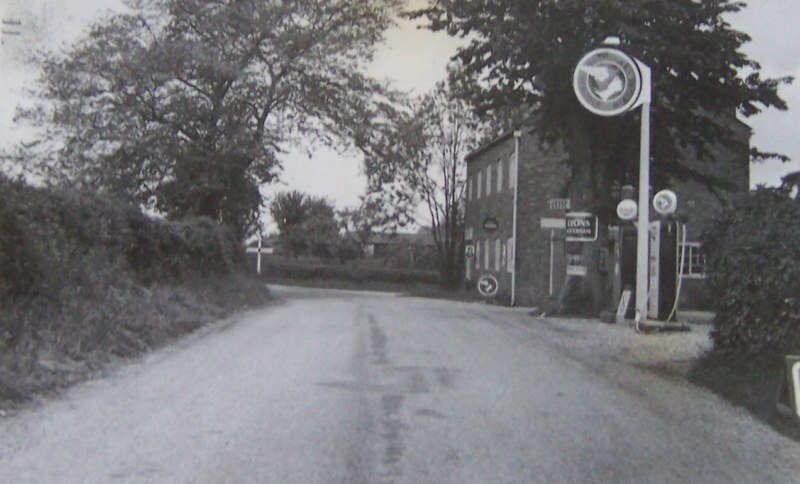 It stands next to the village store which opened twenty years later. 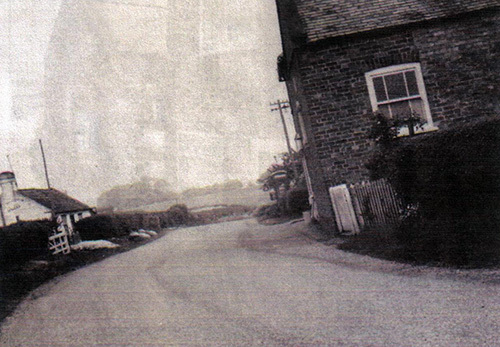 Across the street can be seen a small stuccoed cottage which is no longer there. 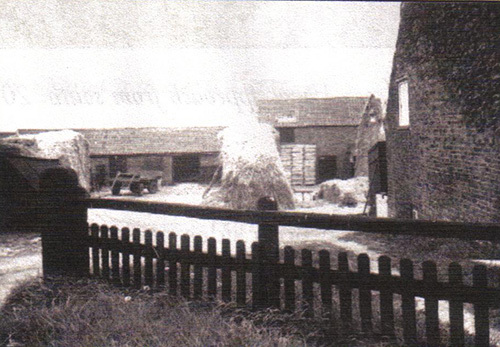 Lock Farm from the road side in 1956. 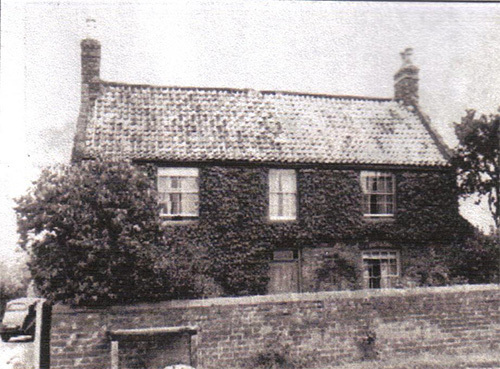 Mike said that his father began farming at Lock Farm in the early 1920's and this was the home they they all grew up as children. 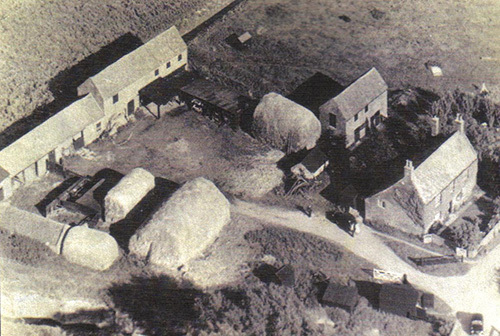 Lock Farm began life in 1773 when the Louth Navigation Canal (in the foreground) was dug from Louth to the North Sea coast. The house was built as an inn, and the locks adjacent to the yard was a busy location for loading and unloading of freight. 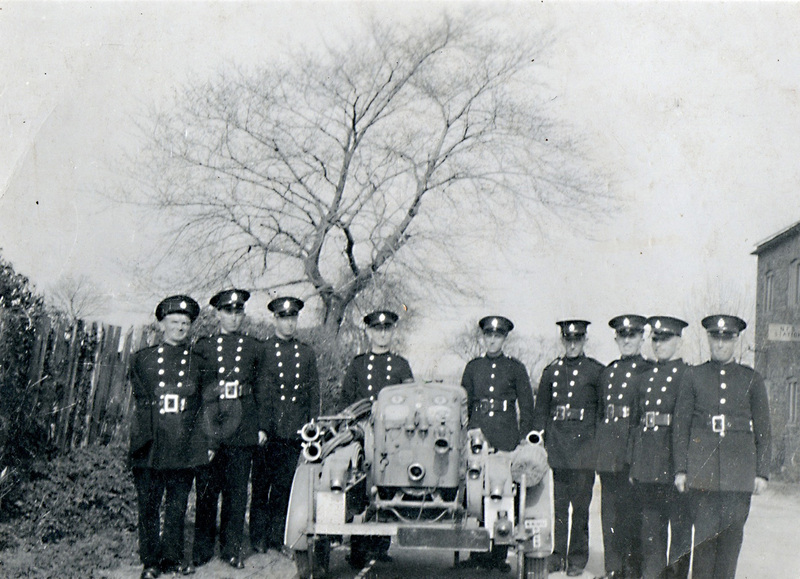 The National Fire Service stood on the roadside next to the Bourne Building, thought to have been taken in the war years.